Hail is not typically seen as a disaster-scale weather incident, but those living in southern Colorado would beg to differ. Multiple hailstorms swept through the area this past week, dropping baseball-sized chunks of ice at terminal velocity. Most of the damage has been to cars, with hundreds of windshields smashed, but hail has also smashed though home windows and skylights, and damaged roofs as well. People have been injured, and a number of animals in the Cheyenne Mountain Zoo were killed by the projectiles from the sky. So far, 8,000 claims for vehicle damage have been submitted to insurance company USAA alone, and total damage was estimated to be around $500 million after only the first storms, on the weekend of August 4th and 5th. But for many, the damage isn’t covered, and replacing a windshield can run into the low thousands. 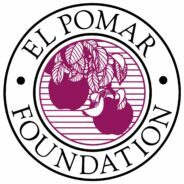 On Thursday, El Pomar Foundation waded in to help, with a $250,000 donation to people dealing with hail damage. That was exhausted by noon of that day, and so on Friday, August 10th, they donated the same amount again. Applicants for the aid formed a line around the block. The two donations together are expected to help about 800 people. El Pomar Foundation is a general-service nonprofit founded in 1937 by Spencer Penrose, an entrepreneur and mining baron who invested an initial $21 million in contributing to the future of Colorado. They support a number of art and culture institutions, as well as the Colorado Wildland Fire Fund. Current estimates show the Foundation has had a $1.16 billion impact on the state of Colorado in nearly 80 years. Interestingly, Spencer Penrose also founded the Cheyenne Mountain Zoo which was so affected by the storms. The cleanup from these storms will take some time yet. Homes are damaged, auto dealerships are particularly hard-hit, and a rental car can’t be had in Colorado for love or money, with so many private vehicles damaged.